Mobile optimized sites have been all the rage since Google’s explicit February announcement that mobile-friendliness will be used as an organic ranking signal starting April 21. However, Google has not forgotten about the original purpose of mobile devices — phone calls. In February, Google made it easier for advertisers to engage smartphone users with call-only ads. Although call-only campaigns are fairly new to Google AdWords, there are certain steps you can take to get the most out of them in your PPC campaigns. This article provides insight into the setup, optimization, and reporting of call-only ads, based on data and testing we have done for our PPC services clients. Before creating your call-only ad campaigns, you should start a conversation with your business or client to establish what a valuable call length is. Perhaps it typically takes the sales team 10 minutes to close a lead or sale, for example. By default, the call-only ads consider a call length of 60 seconds to be a conversion. For accurate reporting and cost management, you’ll want to set the conversion, count and conversion window at the right length for your business. 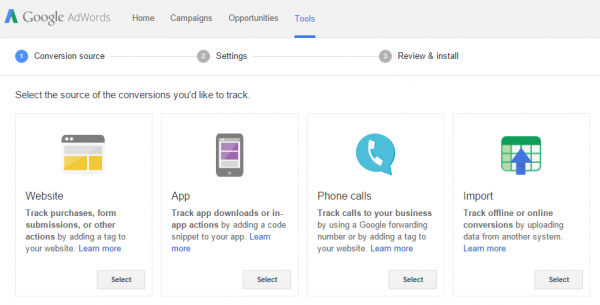 Adjust the default settings using AdWords’ newish conversion interface. From here you can set the call length for a conversion, count, conversion window and other settings. Tip: We recommend adding time to the required call length based on average time on hold, transferring, and navigating through automated response systems. Scheduling: Unless you or your client consider a user being sent to an answering machine a valuable phone call, we recommend scheduling your call-only ads to run during hours the business operates, has sufficient staffing available to answer calls, or aligned with call-center hours. PPC Management Tip: Scheduling can play very well into an account structure that has been segmented geographically. This way, you can create multiple call-only campaigns with ad scheduling that correlate with their respective time zones. Using call-only ads with mobile preferred ads: Call-only ads and mobile preferred ads won’t directly compete against each other, but they do occupy the same ad space. Google’s ad rank will determine which ad type will show. And if your mobile preferred ads have more historic data, it is likely they will outrank your call-only ads on most searches. So, it may be necessary to bid up on your call-only ads. Mobile Tip: We recommend segmenting mobile preferred ads and call-only ads into different campaigns for more granular control of the different bid and keyword strategies of each. Targeted keywords: If there is sufficient traffic, we recommend adding phone call-centric modifiers to your call-only keywords, such as “phone number,” “call,” or “customer support.” This will help improve call-only click-through rates and can further mediate competition with your mobile preferred ads. 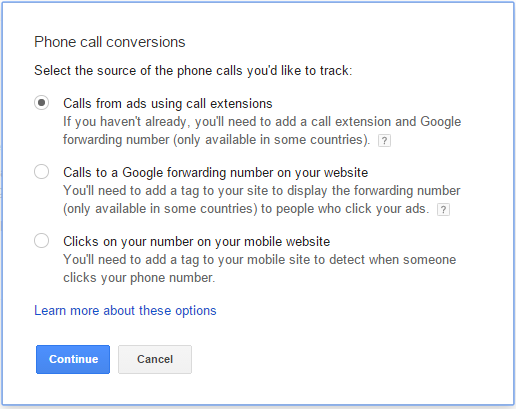 Data on call-only ads and Google forwarding numbers (unique phone number extensions that Google can add to an ad to allow for enhanced reporting like call length and caller’s area code) is not visible by default. Look for this data in Custom columns and Dimensions within AdWords. Custom columns: You can add custom columns to view metrics like: phone calls, PTR, phone impressions, and more. 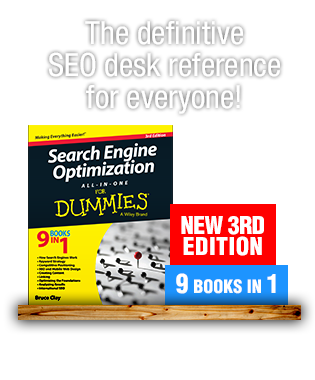 Unfortunately, these metrics do not seem to be available at the keyword level yet, but you can add call detail metrics at the campaign and ad group level. Dimensions: If you have opted into Google forwarding phone numbers, looking in the Dimensions tab can be a great resource for call-only reporting. Once in the Dimensions tab, select Call details from the drop-down. 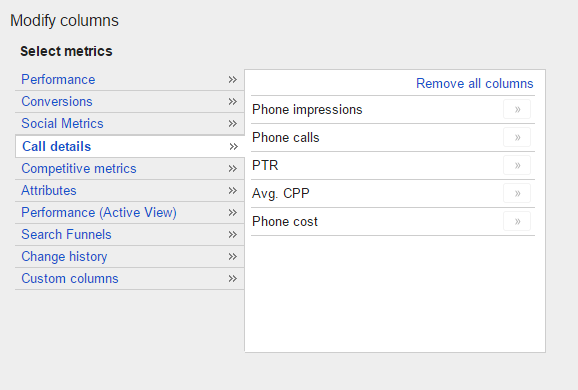 Here you get PPC metrics like: call length, caller’s area code, and if the phone call was received or missed. Tip: If you or your client are not sure what constitutes a valuable phone call, getting an idea of average call length from this report can help provide insight. Hopefully, this article has provided you or your PPC account manager some help taking advantage of the newest Google AdWords ad type, call-only ads. Have you launched any call-only campaigns? Feel free to leave questions or your own tips in the comments. For help improving your search ads’ performance, give BCI a call at 1-866-517-1900. Jack Van Leeuwen is an SEM Analyst at Bruce Clay, Inc. His SEM career began in 2012 as an intern at a Boulder, CO, digital agency. Now a Los Angeles transplant, he enjoys the finer points of data driven, analytical marketing. When Jack isn’t busy managing SEM accounts he enjoys songwriting, beach days, and grazing at the latest LA brunch spot. Connect with Jack on LinkedIn. It’s awesome that you liked the article and have also noticed Google’s push for mobile features. I watched the AdWords live stream today and Jerry Dischler continued to emphasize Google’s focus on intent and immediacy of search. Much of this immediacy goes along with mobile, I think. Great article ! I totally agree with you. Now a days the trend of google has almost changed, people see adword ads on their smart phones instead of click routing to the website. 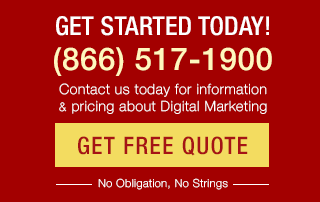 This is truly a remarkable idea and good strategy to maximize the CPA and ROI of every call to our business. Thank you for your comment. I am glad you enjoyed the article and found it useful! 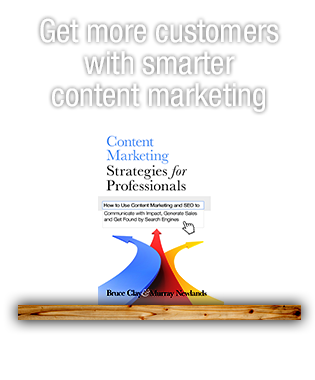 Please let me know if you come across any optimizations or best practices I have not included in the article. In order to see the call details in the dimensions tab you need to have Google call forwarding numbers enabled. You enable this setting when creating or editing an ad. By default, Google considers a phone call of 60 seconds or greater to be a conversion. If you are getting clicks but seeing no conversions it could be a problem with connecting to your phone number. Perhaps people are not able to connect to the number you have in the ad? That or users did not wish to directly call your business from the ad and ended the call before the 60 second time frame. Please let me know if any of this helps. Best of luck! I agree, Google seems to have picked up on the way user search behavior has changed. Increased smartphone functionality is a perfect response to this. Unfortunately, I have been neglecting the ability to tag phone numbers within a mobile site. However, I plan on implementing this feature soon with the hope that I can better monitor the mobile performance of my clients. I am glad you found the post helpful. Best of luck launching your call-only campaign. Please send any optimization tips my way! Thank you very much for your informative, helpful and useful article here. This article of yours really helped me a lot to understanding more about getting the most out of call-only ads. I will try to apply this lesson of yours to my project. Running call only campaign since last 15 days, managed to get 20 clicks but adwords is not showing single call as conversion. Not able to get the call details under the dimension tab as you mentioned. It is showing the geography of the user but not the call details. Really great informative post – thanks for this there are certainly some big changes Google are making to the way we use search. I think having the ability to tag the phone number in a mobile site and track conversion from there is certainly something of value particularly as many smartphone users will now typically call directly from the phone number link providing the feature is enabled.